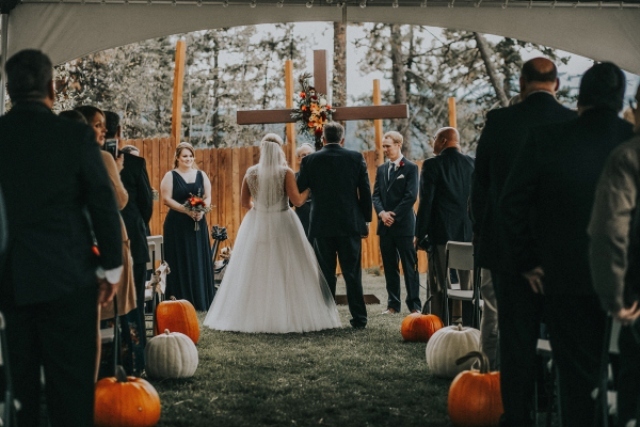 We keep sharing amazing fall wedding shoots and weddings that have taken place this year, and today it’s a warm rustic wedding with lots of pumpkins in Idaho. 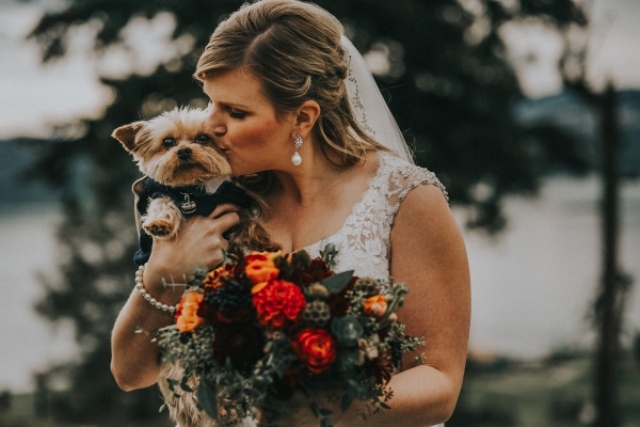 The wedding was a cozy rustic one done in warm tones, with flannels and pumpkins – so fall-like and cute! 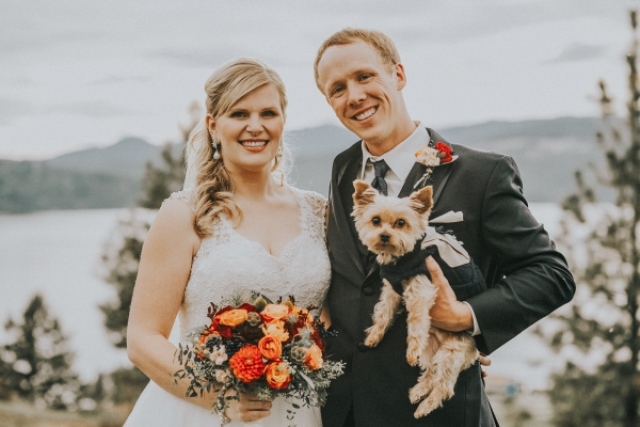 The couple opted for a large cross altar decorated with greenery and orange and burgundy blooms; the aisle was decorated with large white and orange pumpkins, and some of them were used as vases. 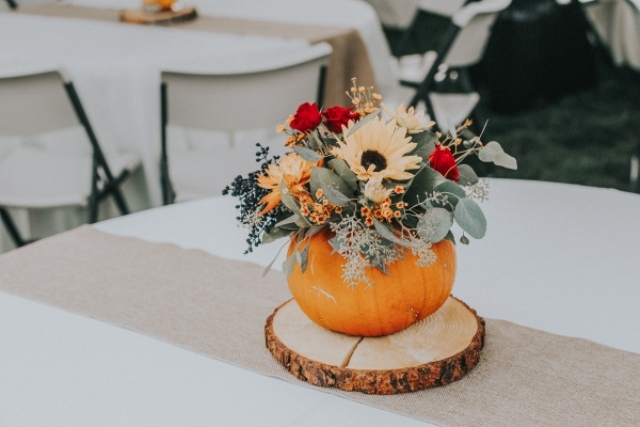 The tables were also decorated with bold orange blooms and pumpkins – very fall-like and bold! 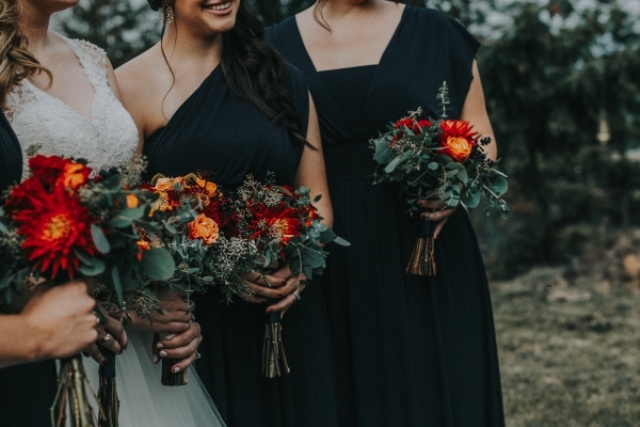 There were some cute glitter touches added – small dots on the pumpkins. 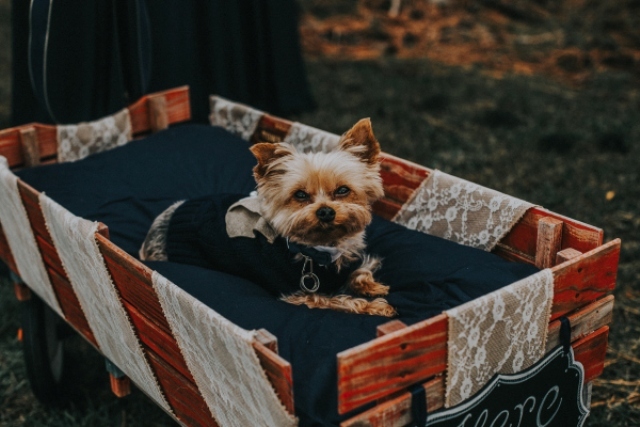 The guest book was covered with burlap for a more rustic look. 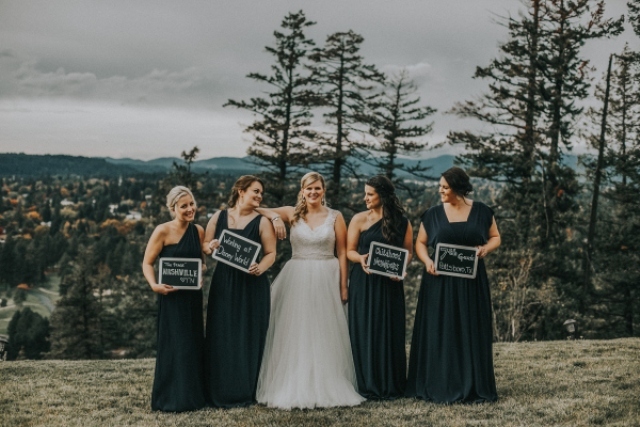 The bride was wearing a sleeveless lace bodice wedding gown with a layered skirt, it flattered her beautiful curves, and an embellished belt highlighted her waist. 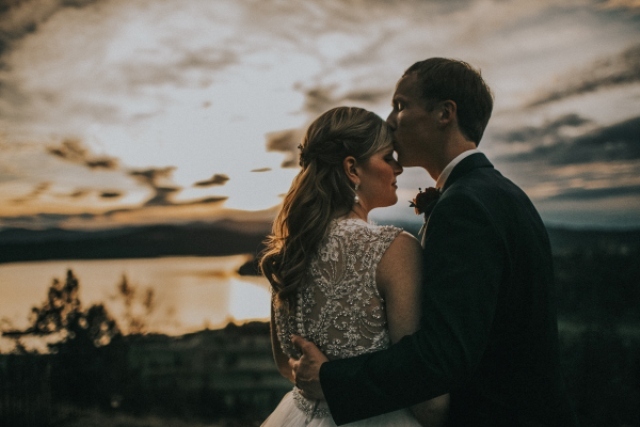 The dress featured an illusion embellished back that looked wow. 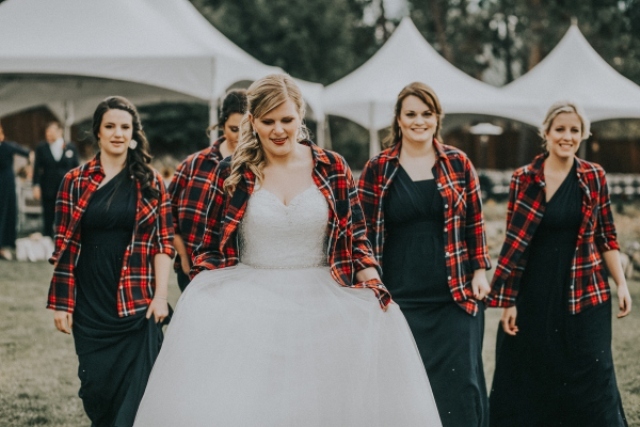 The bridesmaids were wearing mismatching black maxi gowns and all the girls covered up with flannel shirts – so cute! 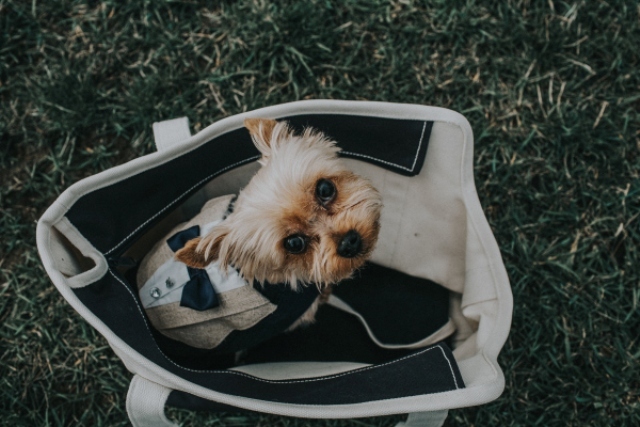 The groom was wearing a classic black suit with a tie, and the couple included their pup into the ceremony: the little cutie was dressed into a tuxedo sweater and carried the rings! 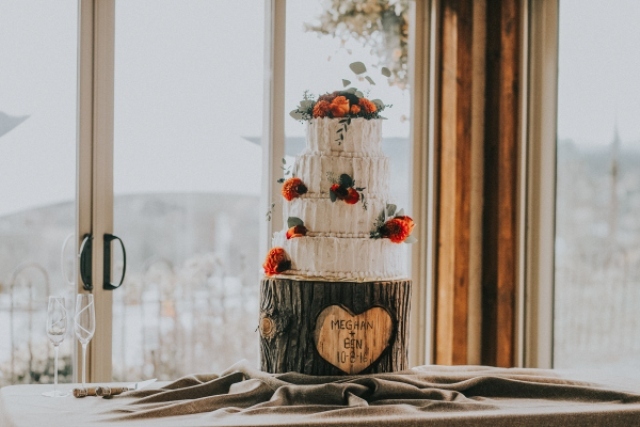 The wedding cake was a textural white one, with bold orange blooms and greenery, and there were pecan cupcakes and other desserts served too. 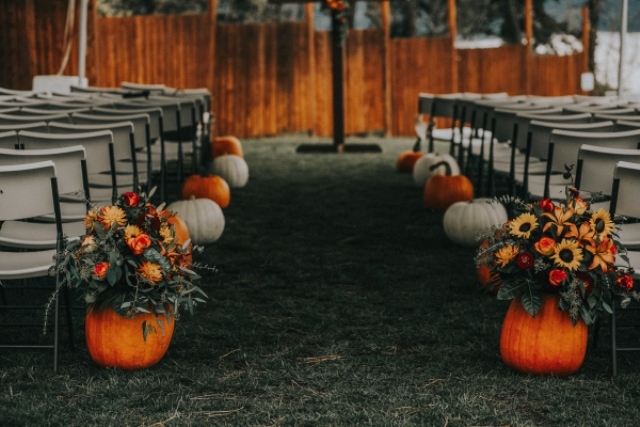 This is how an ultimate rustic fall wedding should look, get inspired and feel free to steal some ideas!